GREEN 1 in. Reflective Center Ring Collar. $15.95. Best collar there is for safety and longevity! So far so good! It is HIGHLY REFLECTIVE when you shine a light on it at night which is one of the main reasons that I got it. I love them!!! One thing that I would like to see in the future is a smaller neck size for them too fit 2-6 month old pups. Great and easy process of ordering. Ships immediately and on time. Fits well since I got the smaller size, and good reflection. I love these collars, very bright and the reflector is awesome.. Great quality this is the second time I have ordered them and they are awesome. I ordered the wrong size for my one dog, so I will be placing another order. Quick service too!!! Pro are that its effective, stays clean and bright. I like the attached brass name tag. Good price point. Cons are I wish it had loop to hold down excess collar length vs the leash D-Ring, by the buckle. Brass name tag, etched letters, should be thicker to see more easily. Both dogs like it and it doesn't get soiled like previous nylon collars always did. Plus this collar doesn't snag their neck hair as nylon collars eventually do. All said.. 5 stars. But could use those 2 improvements. Only been on dogs January and February, so don't have long term evaluation yet. They do spend 4 to 5 hours outdoor every day. 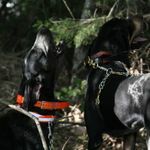 So 220 dogs hours so far on e-collar, in cold MI woods. Very active 95 lb dogs. Good price, very good service and delivery. Impervious to almost anything, good reflectivity for over a year, and really good looking. What's not to like? Have 2 very active large dogs. Tried the nylon/propylene orange collars. They all frey, lose their brightness, get wet, dirty and snag neck hair. So far, these collars retain their bright color and the reflective center glows great under lights. 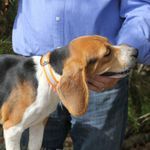 Collars don't hold dirt or stains and remain dry and clean. Both me and the dogs like them. They are NOT undersized, measure their neck and order that size, it will fit. How many times I have ordered from other places and been disappointed because their sizes were too small or tight. Not these. I love the collars that we order from y'all. They last a long time and you can see your dogs really well in the night with the reflective strip.. Prices are great and really enjoy the timely response that you get when ordering. Only takes a couple of days to get your order. Very reflective. Nice riveted tag. I would buy another. 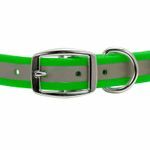 These K-9 Comfort collars are the bees knees! We have 25 USFS certified Sled Dogs. These collars do not break, fade, rot or come off. Our Dogs play rough games in the Dog Yards and while Training and Racing and conducting Dogsled Tours, they are subjected to high levels of force and abuse. They last for years, looking like new. Their Best collar, we believe. Go Flying Furs! 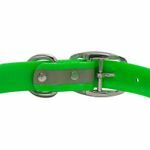 Great collar for my young dog that likes to play hard with her sibling. 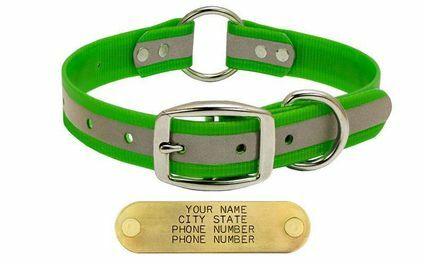 It's very durable and provides me with a sense of security to know that the collar is both reflective and has the ID information riveted to it...nothing to get caught up with. This is my 4th collar and I just love them. 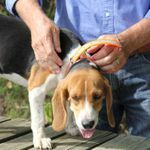 They are easy to clean and shed dirt and water so you don't have a soggy mess around your dog's neck. 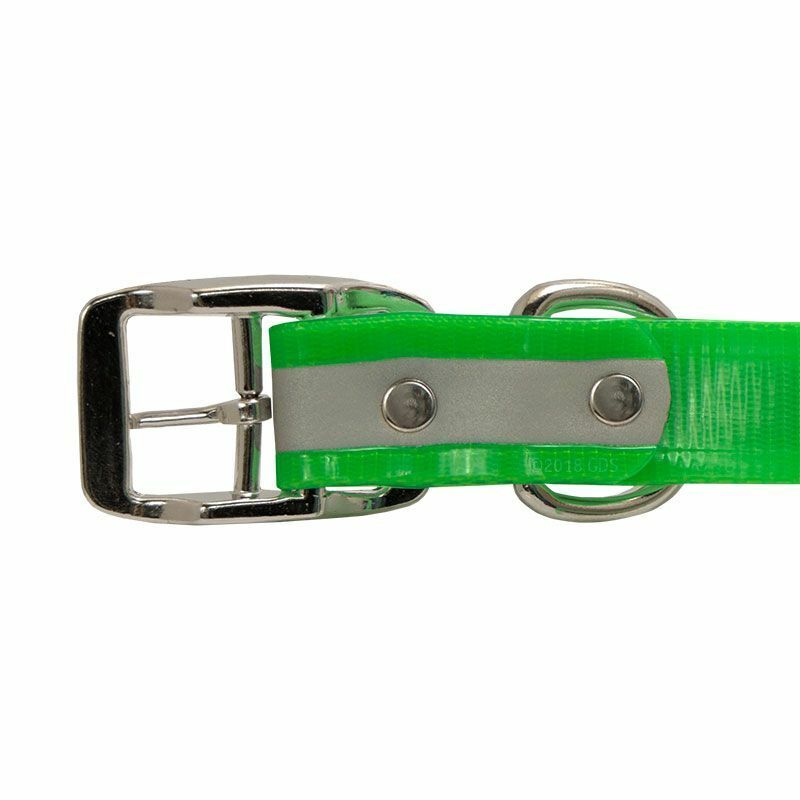 This collar does not fit my new Malinois puppy but she is currently using a smaller version of this. I figure I needed a larger one when she's older so bought another one. These are fantastic and very reflective. It's the second one we bought and it's a great collar. Excellent collar, well made product, very reflective. Would recommend to anyone looking for a dog collar. Exactly what I was looking for. Hard to find a reflective collar with double rings. Little more money, but definitely worth it. Everything I've ordered has been spot on. Steve is running a top notch business. You have a lifetime customer here. Thank you. Bright and does not pick up odor. Fits perfect for now. He is a growing boy. We will be purchasing many more as he grows. The amount of customer care and service this company places on each order and every customer is amazing. Best place on the Internet to do business with period. Great collar. We have a Blue Weimer that basically disappears in the darkness when we let her out at night. This reflective collar works great, certainly makes it easy to keep up with her movement at night. Absolutely love the collars! They make our pets easy to see at night and appear to be very comfortable. Also, they are durable and they wash easy. Something that is very nice having dogs that likes to roll in the stink. Great product!! My dog is very active including swimming in salt water. The collar takes a beating, I usually replace it every 2 years!!! Great material and fantastic visibility at night. Super easy to clean for those dirty dogs in your life... Like mine. Very good collar. Works well. The collar is well-made, lightweight, and generous in length. I will be ordering a second collar for my younger lab. Good fit. Very pleased with name plate. Very quick shipping. Very nice collar and seems durable so far. I really like having the ring at the top to attach a leash to. Love both of the collars. Extremely durable, only downfall is the smaller collars nameplate for the beagle is in a weird spot and can't read the name tag unless you move the extra collar strap out of the way. The larger collar has the name place in a better spot to read it. But other than that no problems at all. We love these! 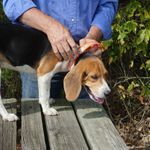 They are great for our outside dogs. Awesome collar! My dog can go in and out of the water with ease in this collar. Nameplate should be always installed on buckle side for more flexibility. Great collar, I bought three. One for my dog and two others for my brothers dogs. They really like the fact that they had their names and phone numbers on them and that they can be seen easily at night. Would recommend to anyone that asks. Collars are great. 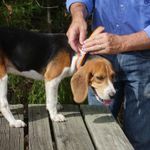 We buy a new set annually for our dogs through Gun Dog Supply. Prices, customer service and shipping are second to none. Thank you! The collar really glows bright! Couldn't be more pleased. Our WV has a skinny 13 inch neck, but the smallest size fit her. 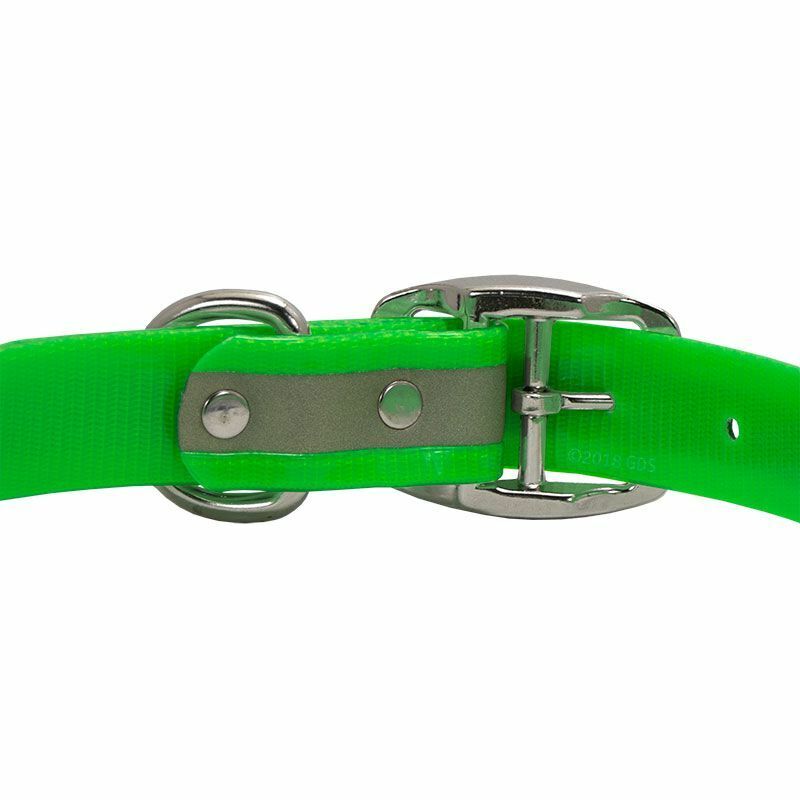 It's durable, highly reflective, and doesn't irritate the dog's neck like the puppy collar did. Really shows up well when lights hit it at night. Great collars and great service from Gun Dog Supply. The collar is just what I was looking for. 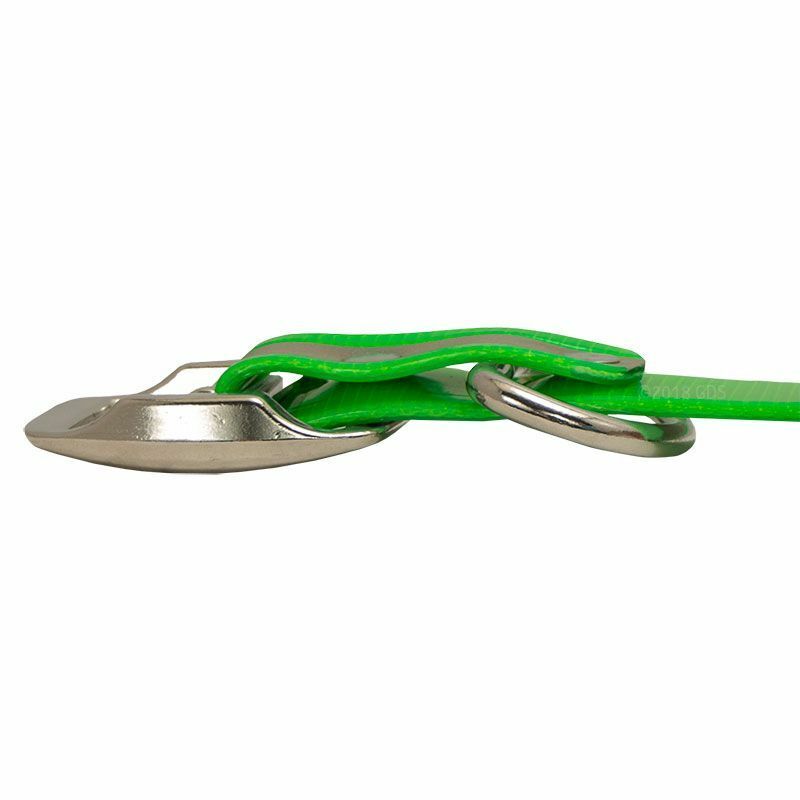 Comfortable for the dog and easy to attach and remove leash. Steve you should have these collars in all the pet stores through the US. Very nice collar. Well made. I bought the green one, and it is highly reflective when we're walking in the dark. These are great collars. Nice bright colors to tell the dogs apart at a distance and easy to see at night. They dry instantly and are resistant to just about everything except SKUNK smell. Had to replace one recently due to odor. Other than that they last for many years and hold up well. Great product. Delivered promptly, but more importantly Gun Dog Supply and Steve have created a unique personal buying experience in a seemingly anonymous sterile online world. Love this collar. Light, easy to see, and great price for the pup. I like the center ring in the back to latch up my pup. Solid USA made collar. Reflective strip shows up well in the dark, and the overall fit and finish is above average. Brass name plate is easy to read, smooth at inside rivet points, and is great to have on collar. Bought two to make sure I always have a back- up. Very good collar! It is strong, and fits perfectly. It is still reflective even when they cake it in dirt after soaking in their pools. It is a breeze to clean. Service is the best. ID tags perfect. Great staff. Excellent customer service and fast delivery. Great product! 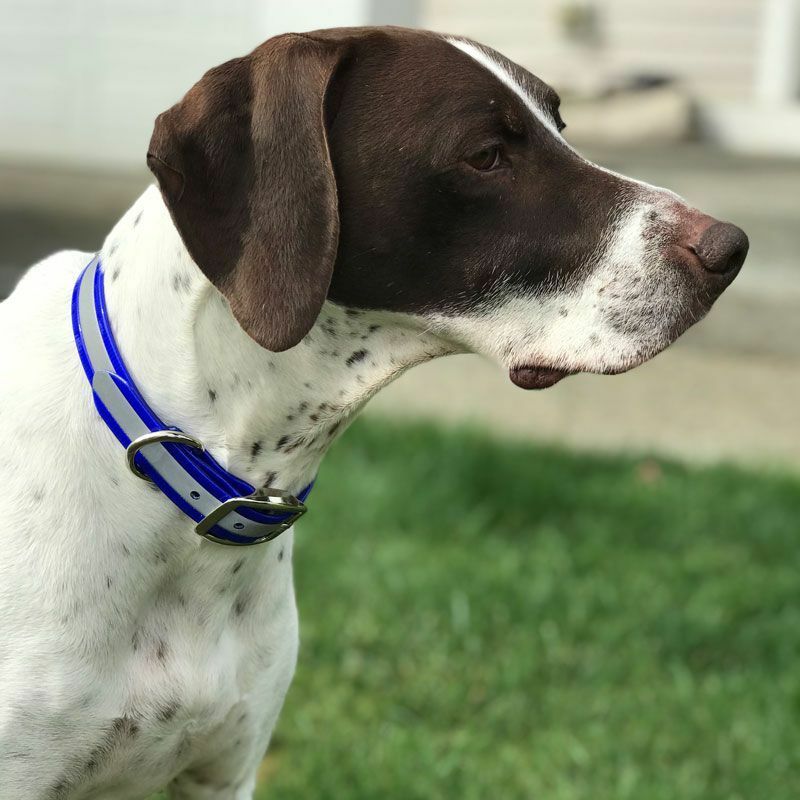 We got this collar as an alternative to leather collar, because we go to the beach regularly, and our dog likes to play and retrieve in the water. This collar seems to hold up better and does not require any treatment. Dog appears to be just as comfortable. Our retriever is a black lab, so he is easier to see at night as well when he wears this reflective collar. 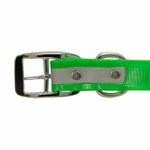 Heavy duty collar that cleans up easy and is well built. Would recommend this to anyone. Excellent quality and shipped to my door very quickly. Make sure you follow Steve's sizing recommendations. The collar fits exactly where the guide said it would, and it's great. 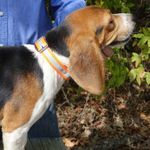 These are the best collars! They last forever and don't ever smell if they get wet or slobbered on. The only reason we had to buy new collars was to update the info on the tags. Collar is really nice. I hope it doesn't get stiff. Very brite reflective strip, and the SportDOG lights fit perfect. 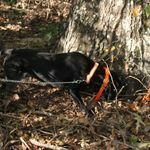 Customer service from Gun Dog Supply is awesome. I like it. Hannah does seem to mind it. It certainly makes her more visible in the corn we have right now on our farm. Awesome! Everything it was described to be. Shipped and arrived promptly! It is a great quality product. Better than I hoped for. 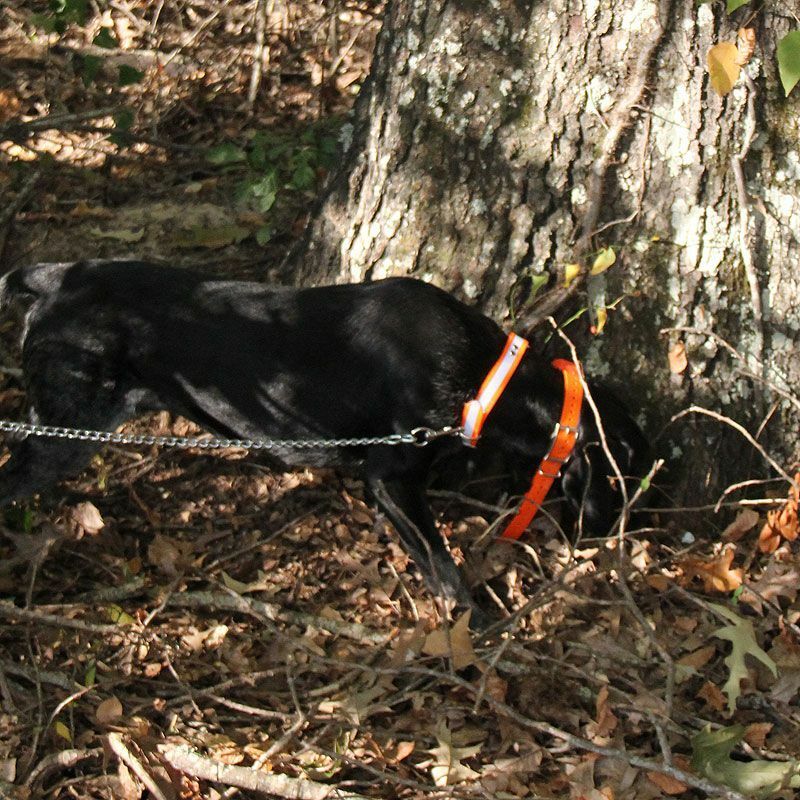 All our dogs kept losing their ID and rabies tags in the brush or trees around our property. 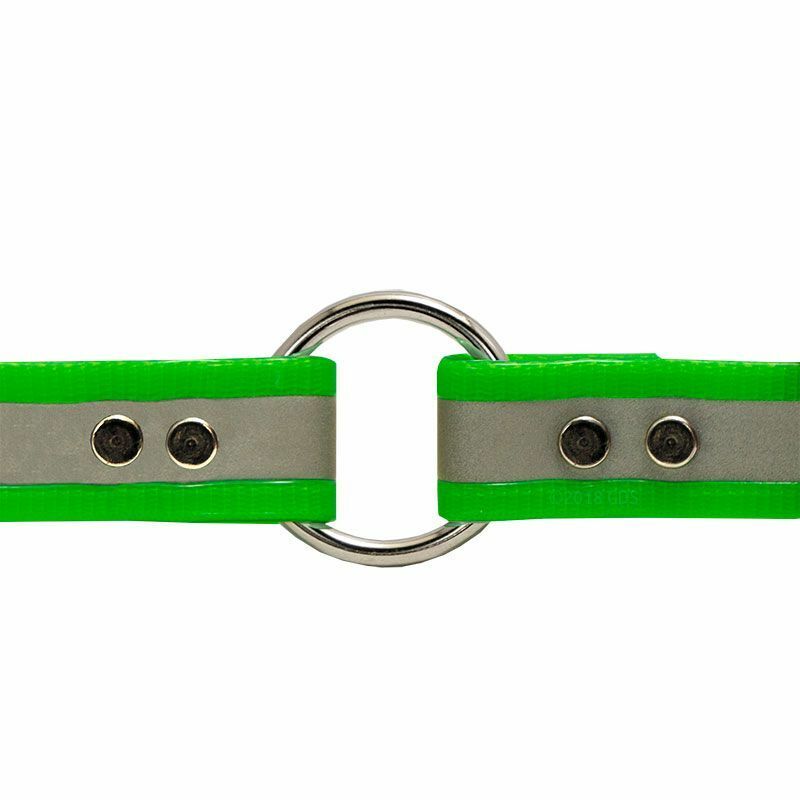 We love the center ring collar and the bright color with REFLECTIVE strip! 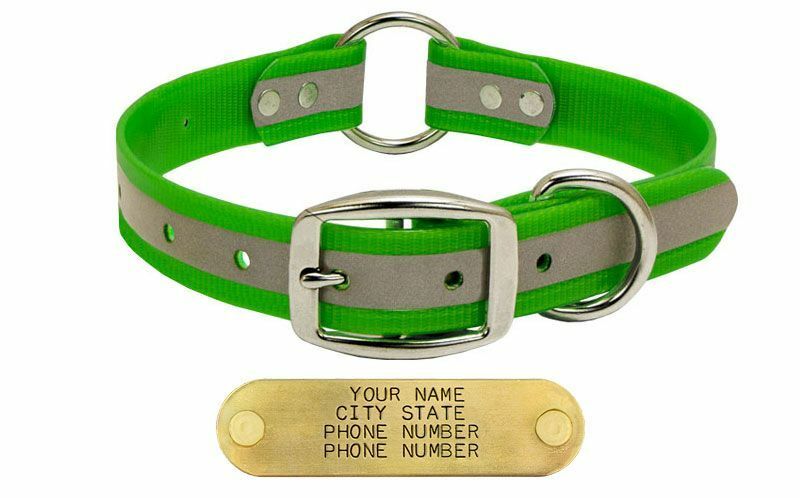 But we bought it for the ID tag riveted directly onto the collar. No more tags getting caught on brush and ripped off. Thanks! Love this collar. I've purchased 3 of them for our girl over the years! Excellent collar! 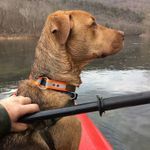 It wears extremely well and is the most durable collar I have purchased. Excellent collar. Had it for 2 months and seems very durable. Only negative is the black filler in the brass engraving is wearing off. However the information on the engraving is still easy enough to read so no big deal. I bought the size 21ns 18-22 inch for a 52 lb. lab, and it is a little big, so I will order the next smaller size next time. Wish they came in pink for my female lab. These collars are worth the money. Extremely durable. I've use them for years, and the nameplate is perfect. The collars and the name plates are perfect. Shipping was fast without any problems. Quality is excellent, and service was exceptional! 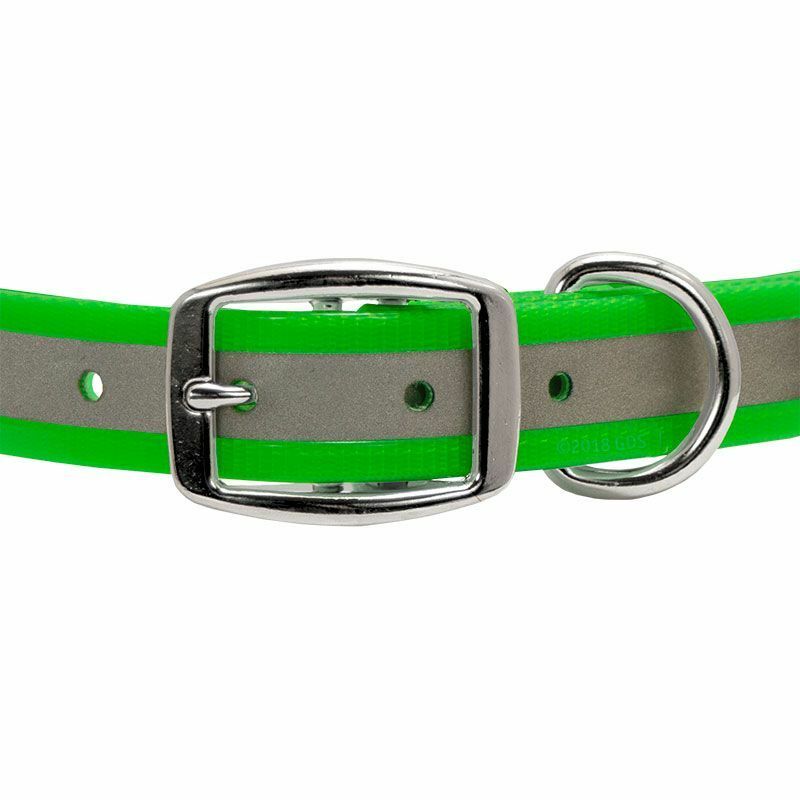 Got three of these in different colors that match the Dogtra Edge collars. Wow, are these made nicely. So used to your average quality pet store stuff, but these are well made and sturdy. Also like the riveted tag to it. Definitely a happy customer here. Gun Dog Supply, you are a top notch company in my book. Perfect fit (use the sizing guide) and very durable...fit the bill well. Love them. My lab and Pyrenees both swim in the pond, and these collars never smell, and dry right away. Replaced the last one. It lasted 4 years. Great products and service. I love his collar. It's light weight. I probably should have ordered one size down. This is a lovely collar! Fits my lab well. Great quality for the price. I will come to your site first when searching for items for my boy Duke! 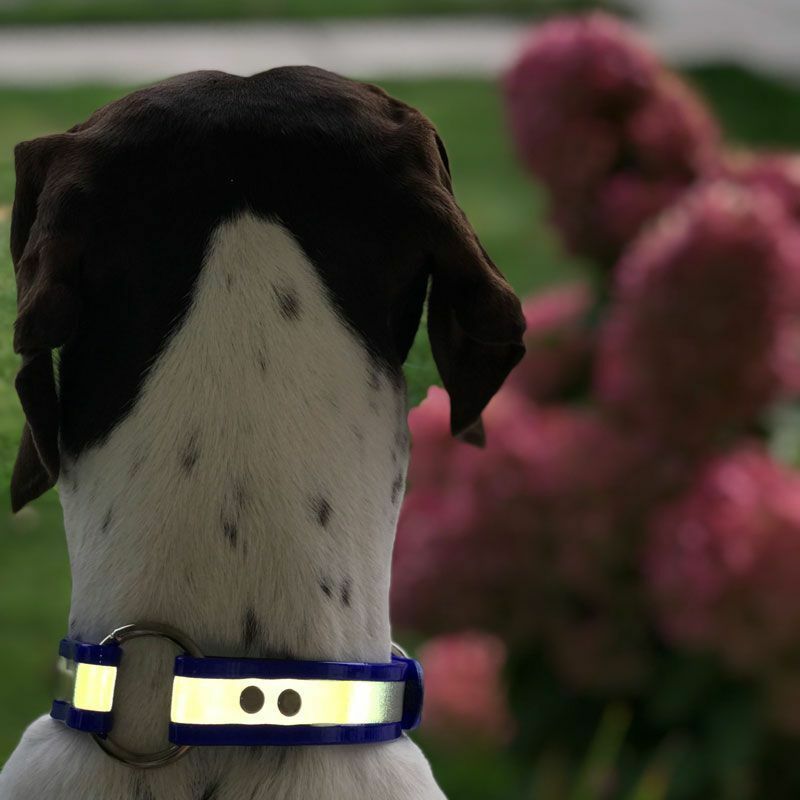 The collar looks great and the reflector is nice and bright when we walk at night. Good sturdy collars. I bought these collars because my dogs had decided to chew each other's collars to pieces. They have not been able to do that to these collars. They have given up even trying. 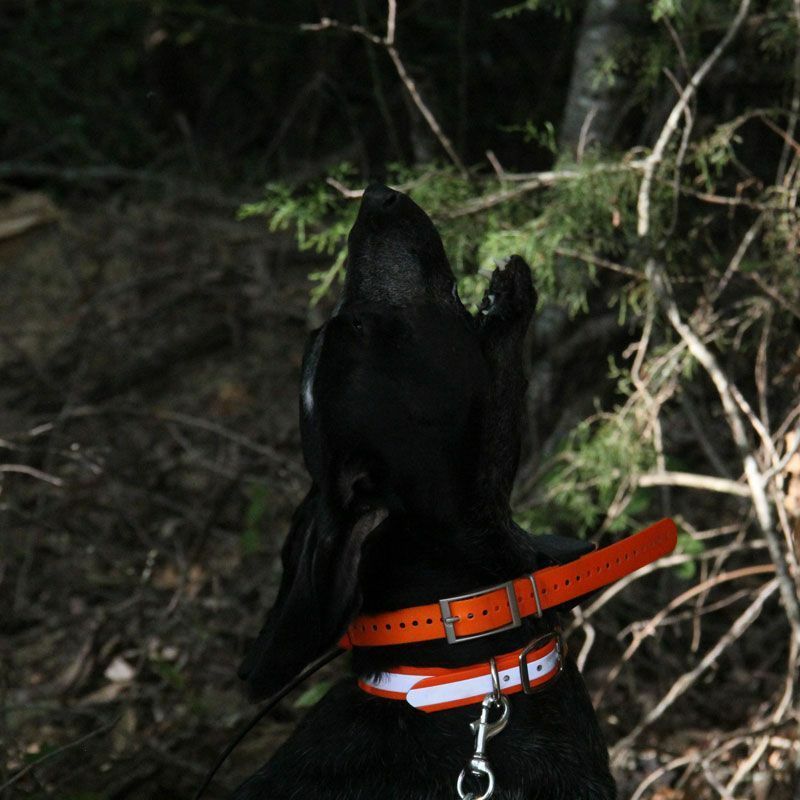 The K-9 Komfort collars have proven tone an excellent choice. Good price, fast shipping and quality product. Can't ask for any more than that! Highly visible. Good quality. Doesn't hold water or require maintenance after getting wet. I bought three and think they are a good product. This is the 5th one of these collars I have purchased for my dogs over the last 10 years. They are the best because they hold up very well, they don't absorb odors, and they are easy to clean and keep looking great. 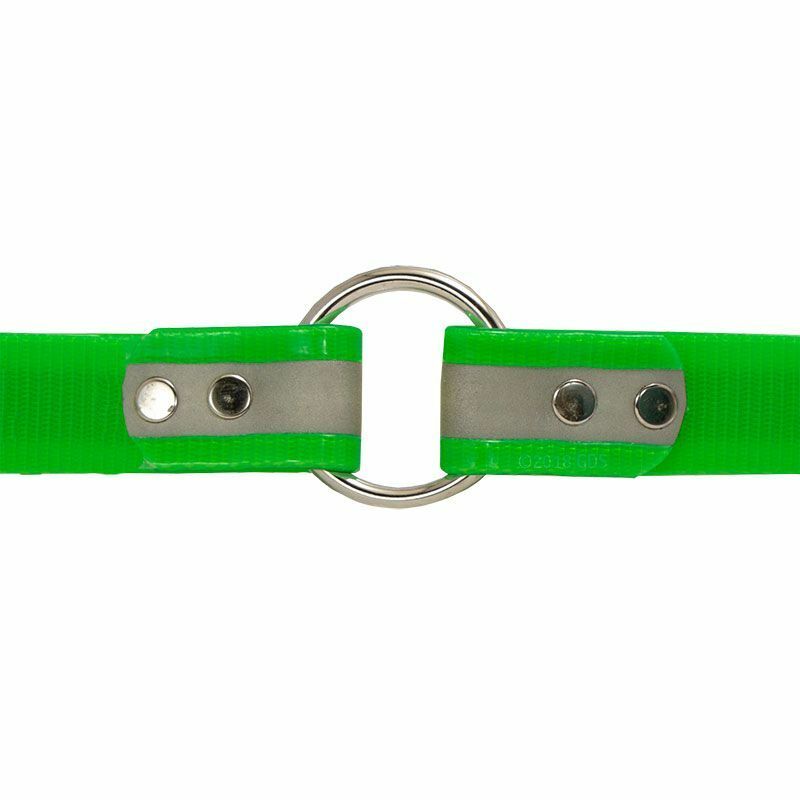 The center ring makes it easy to attach a leash to. This collar is very durable and should be considered for anyone with a dog that frequents water or thick cover. 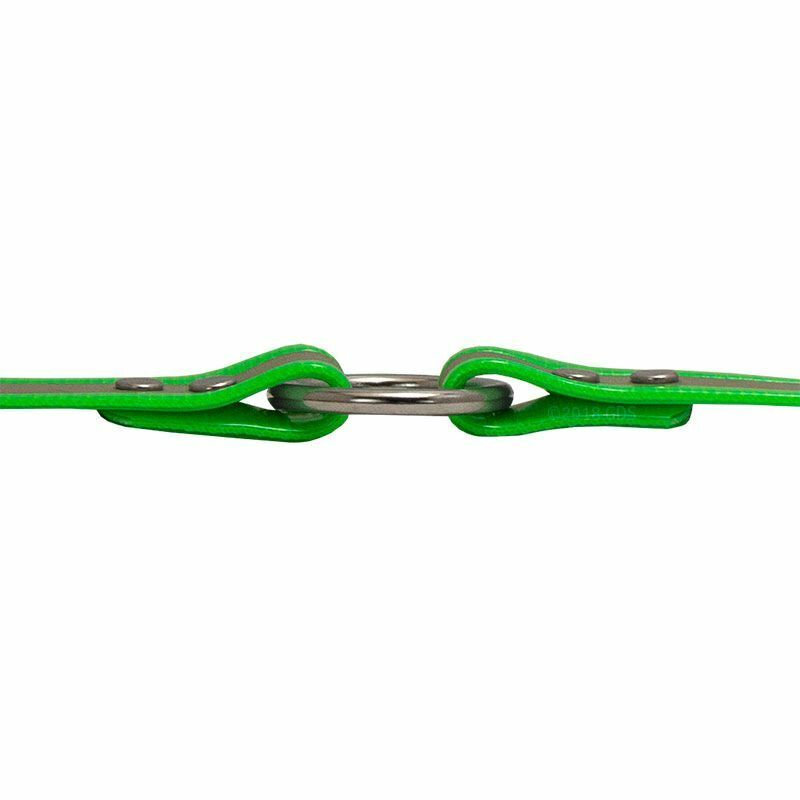 Quality hardware and very durable collar overall. Looks sharp, and the reflective strip is a nice touch. Would buy again, although I doubt I'll have to for many years. This keeps my boy out of troubles path, sense he doesn't have the sense to do it. Hahaha. We live on a highway. Collar reflects well and is easily cleaned. We got the engraved name tag as well that looks nice. The collar fits well and the reflective band is a good safety addition, but I still like the feel and neck contact of real leather. Very good collar for hunting dogs as it's reflective bands work both day and night. This is my third collar. The only drawback is the reflective material wears out in a couple of years of hard hunting. Still a good buy. Also, I see no reason to poke holes all the way to the center d-ring...who would ever use the last couple of holes? It interferes with the reflective material and that is the first place that wears off....all around the holes poked into the reflective material causes the reflective to quickly wear off. Will not order again sadly, as I so like your services. I was planning to send you an e-mail with pics to show the differences...may still do, as some improvements are needed. Very stiff. I bought it for the o-ring and d-ring option, not many to choose from elsewhere.